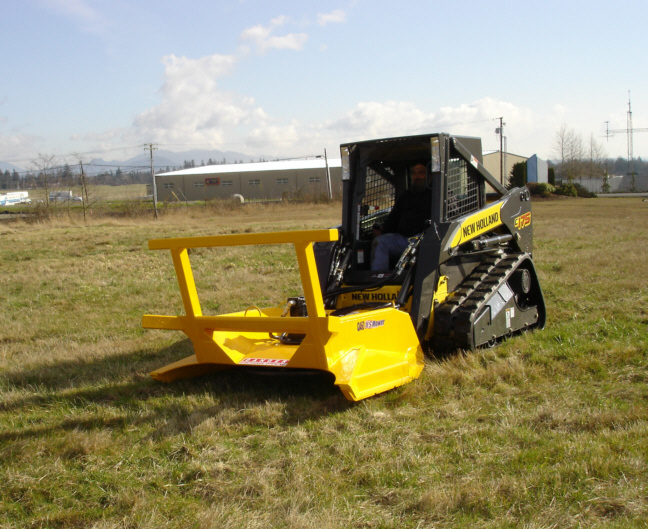 The QA72 Skid Steer Rotary Brush Mower with 27 lb. blades. Cuts up to 10” trees, shrubs, vegetation, grass and weeds. ​Built for Parent Machines 9500lbs and up. T-1 or JFE blade disc carrier 1" x 53" x 2"